Giveaway info: Rachel will be awarding a $25 Amazon GC to a randomly drawn commenter during the tour. Leave a comment with your email and your are entered. Good Luck! I write Victorian historicals, contemporary romance and romantic suspense. Each sub-genre brings its own pleasures and pain, but historical is by far the most challenging. After I wrote The Seduction of Emily, I was so convinced it wasn’t what readers would want, that I vowed never to write another historical again. It was that difficult. Then I received an email from my agent. Not only did she tell me she’d sold ‘Emily’, but she’d sold it to Kensington (one of my dream publishers) as part of a two-book contract. I wouldn’t be surprised if you heard my scream across the pond from the UK to the US, lol!! So, to answer Harlie’s question – historicals provide exciting and new avenues to explore and enjoy. Up until now, I have concentrated on the Victorian era because the huge changes for women in the period interests, fascinates and inspires me. I am by no means a feminist but I do get a buzz from researching the amazing women from the era and how determined they were to empower themselves and bring forth new opportunities for their children. I’ve written three full-length novels (one with The Wild Rose Press and two for Kensington) as well as a novella (Wild Rose Press). The common theme that links them is centered around the change in the heroines when they realize they want more than society allows. What are they going to do about it? Who can they trust as allies? Who are their enemies or the people who will resist the new way of life they so passionately seek? You could say this is a theme that still exists in certain aspects of business and social etiquette now, but it was far worse back then as you can imagine. The sequel to The Seduction of Emily will be sent to my Kensington editor this week, and so the wait begins for his reaction. Will he like it as he liked ‘Emily’? Will he offer a further contract for another book? Watch this space! Okay, now that everyone knows that Ms. Brimble and I are friends, this review is in no reflection of our friendship. I read the book, loved it and Ms. Brimble just needs to relax. When I had the opportunity to review The Seduction of Emily, I jumped at the chance. If you have never read one of Ms. Brimble’s historicals, you need to. She brings a richness to the genre that few authors can. Why? 2) She doesn’t muddy the waters with all the detailed trappings of the genre. She tells a story that is relatable to modern times and with characters that we can like and understand. 3) Without all of the pages and pages of what everyone is wearing, the gossip mongering, and the etiquette of the time, you get a great character driven story that you can lose yourself in for a couple of hours. 4) While I do appreciate historical romance with all the back history, detailed information and setting descriptions…sometimes, I just want the story. Lose the filler and give me what I want. A great story. Ms. Brimble does that in spades. The Seduction of Emily is a beautifully written novel about a contracted marriage between childhood friends arranged by their fathers. Too bad, Emily doesn’t want to be married to Nicholas. She feels stifled and knowing that he doesn’t respect her as his soon to be wife is even more appalling. Emily is from the new generation of British women in Victorian England that realizes that arranged/contracted marriages are not normal and only wants to marry for love. Too bad, the contract states that to have her half of her father’s business she must marry Nicholas. When she meets Will at the auction, she has no idea how her world and life will change. Will Sampson is a study in contrasts. What started off as a tale of vengeance for his mother, turns his head and heart toward not only seducing Emily but winning her heart in the end. Will isn’t perfect. Actually his back history is somewhat heartbreaking but it makes him what he is today and why he seeks out Nicholas. The heart of the book isn’t about Emily, Will or the marriage contract but what Nicholas as done as man and what he continues to do to women. Its appalling and unfortunately in the times, it was common place. Sure it was whispered in some circles but most everyone turned their cheek to it. Not Will and Emily. They vowed to bring justice not only for Will’s mother but to the other women that he has been with. Its heartbreaking to know that one of the secondary characters, Katherine has put up with it for as long as she did. I loved how Will was able to convince 5 different women to stand up to Nicholas. In that time period, I can’t even imagine what it was like to walk into a police station and tell your tale. Who would believe you? Again, Ms. Brimble handled the material with grace and humility. She doesn’t gloss over but gives you the sense of what it was like. The romance between Will and Emily was never forced. In fact, it was light, fun and even through the difficult times, realistic. Again, I could relate to both Emily and Will easily and loved watching their romance grow. Their love for one another was evident before they ever kissed. Will wanted Emily to have a voice in things; he loved her wit, intelligence and above all…who she already was. He didn’t want her subservient and submissive. He wanted that fire, passion that she had. I know that Ms. Brimble is nervous about my review and she shouldn’t be. She wrote an intelligent Victorian novel about two characters that I instantly connected with and cheered for in the end. The social commentary that she brought to the book was well thought out, not glossed over and even relevant to today’s society. I haven’t read this type of romance in a while, but after reading the excerpt, I’m going to have to visit these again! I’ve always loved stories about a woman with one man, but wanting another!! Hey, Emily! I’ve enjoyed following you around on the interwebs! I’m so super psyched to read your novel! She made it!!! Woo Hoo! A lovely guest post and a fantastic review! The Seduction of Emily sounds like a book I would very much enjoy reading. I too love histrical romance but have to admit the trend to bog the book down with “details” instead of story is annoying. Will definitely be giving The Seduction of Emily a try. Last day of the tour. It has been fun following Rachel around for the past couple of week, learning about her and her books. I’m a huge fan of historical romances set primarily in the 19th century. But since Downton Abbey became such a hit, I find I would also (and have) enjoy stories set in the early 20th century too. Seems a nice reading. I like historical romances, but I agree that sometimes all the details may be quite boring. I’ll try “The Seduction of Emily”. Congratulations to you, Rachel. I’ve never read why someone likes to write about characters from this era and you did a fantastic job telling me why you do. And your “never say never” attitude has certainly gotten you where you are today. So cool. love the sound of this book….would love to read it! Gorgeous cover! Love Rachel Brimble! 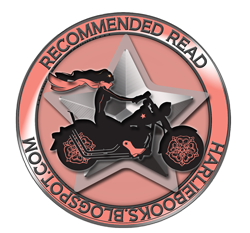 Great review Harlie and it must be nice to get to review a friend’s book–especially when you love the book. This book sounds different in that it has the “women’s rights” aspect. great review. sounds good. and not worry about being friends. lol congrats on working with one of your dream publishers! You sound so excited about it!! I do love Historical reads, so keep on writing them. A fabulous review thank you. Your ‘couple of things’ brought up some interesting points. Arrghh!! I have been trying to get here all day to leave a message and the blog keeps rejecting my post. Hoping this one gets through!! Thank you for everyone who has followed my tour – wishing you all so much love and luck. Rachel, I can imagine how hard it may be when you can’t see any progress on a work. But create magic and get the readers to another world is something priceless.